Summary: Probably the most popular walk for families and for mature walkers in the Yorkshire Dales National Park. Being so popular the village of Malham is very busy in summer and particularly at weekends. 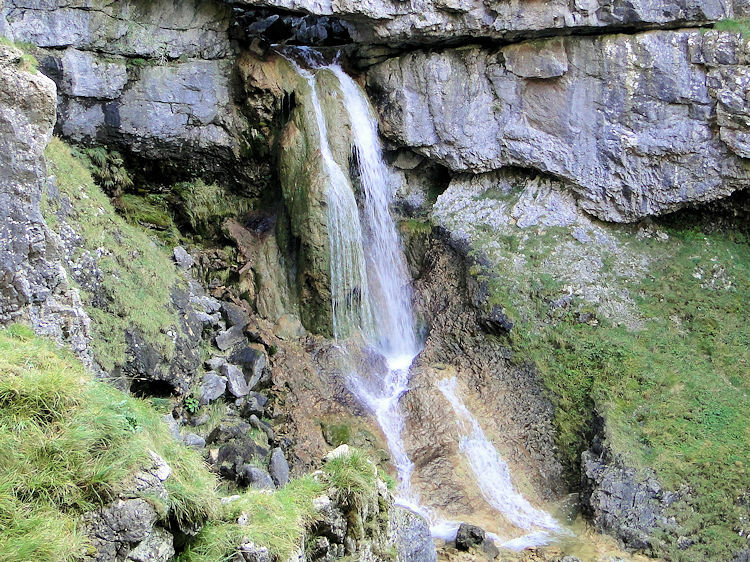 The walk visits Gordale Scar to see the famous waterfall without walkers having to undertake the difficult climb up the waterfall. Leave that to the more capable and daring hikers who you can watch climb the waterfall while enjoying the great views. 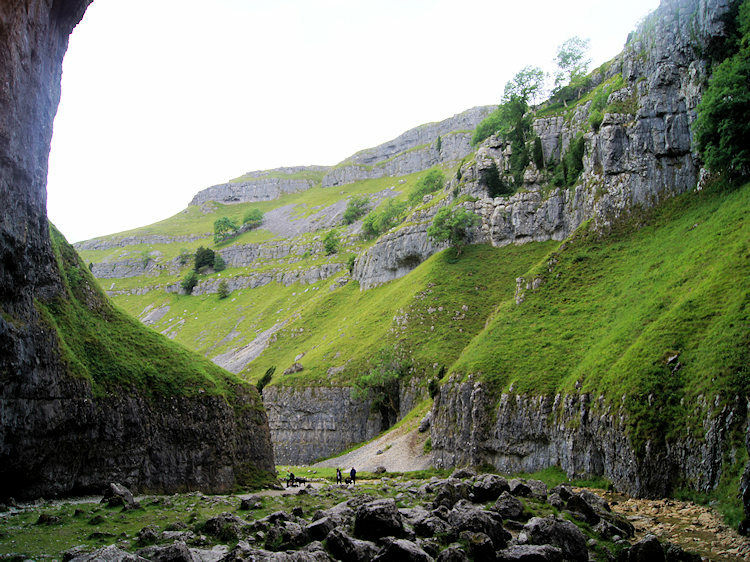 (note: I have included images of a climb I made of Gordale Scar during one of my walks). The Walk: I have done this walk many time, it is always a favourite. 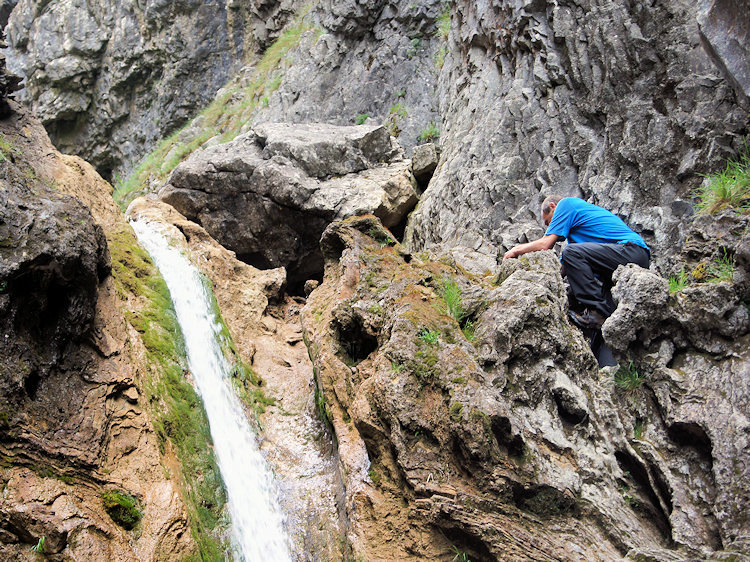 Quite often I extend the walk by challenging myself to climb the waterfall of Gordale Scar but my wife Lil is not one for such challenges so when she accompanies me this is the exact route I take. She loves the walk as much as I do. 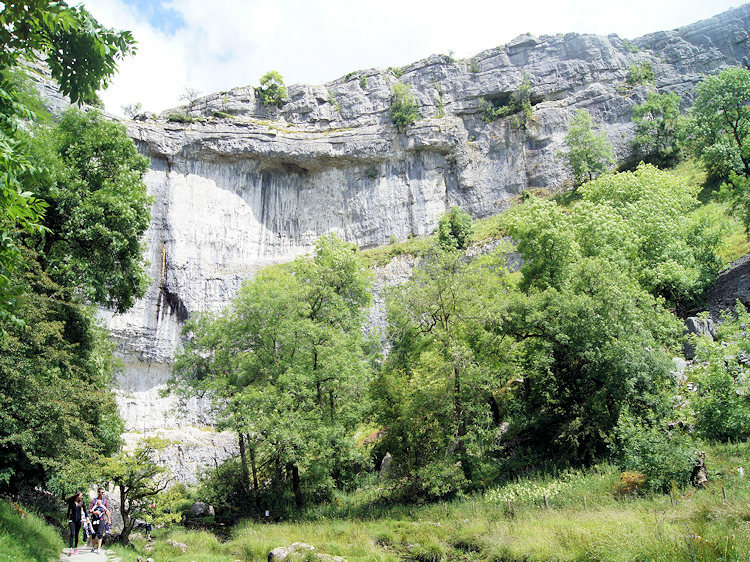 By not having to stretch oneself on a rocky ascent of Gordale Scar the only significant climb is up the stepped path to the left of Malham Cove. Every time I do so there are walkers of all abilities, including children, climbing the steps too so this is a walk for all. Start the walk from outside the village post office and cross the bridge over Malham Beck to follow Finkle Street towards Gordale. 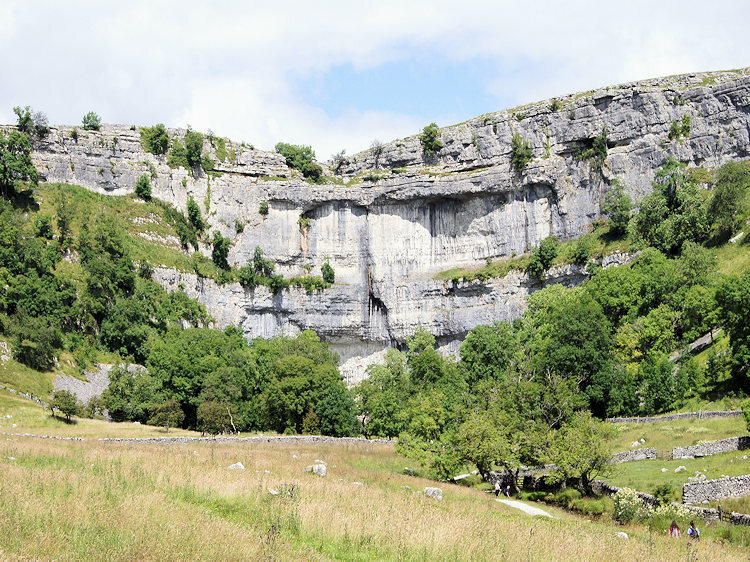 Leave the road after approximately 100 metres to follow a track due north which leads from the north end of the village towards Malham Cove. Keep heading north along the lane avoiding all signs leading east and west. Malham Cove is well sign posted to the north. After 200 metres of following the track the village is left behind and the superb white cliffs of Malham Cove come into view. For the rest of the time while walking along the track its quite evident where you are heading, straight towards the cove. You will probably have other walkers on this popular track with you. Eventually the track joins another from Malham near a footbridge. 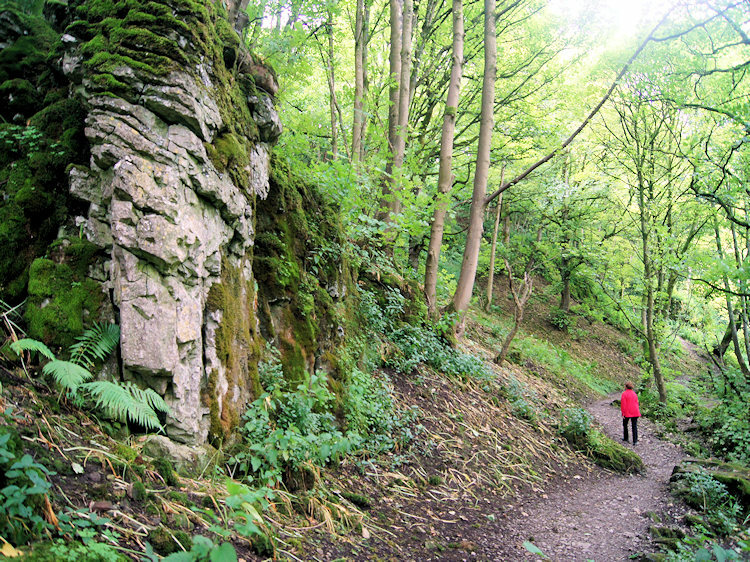 The merged tracks lead directly to Malham Cove. 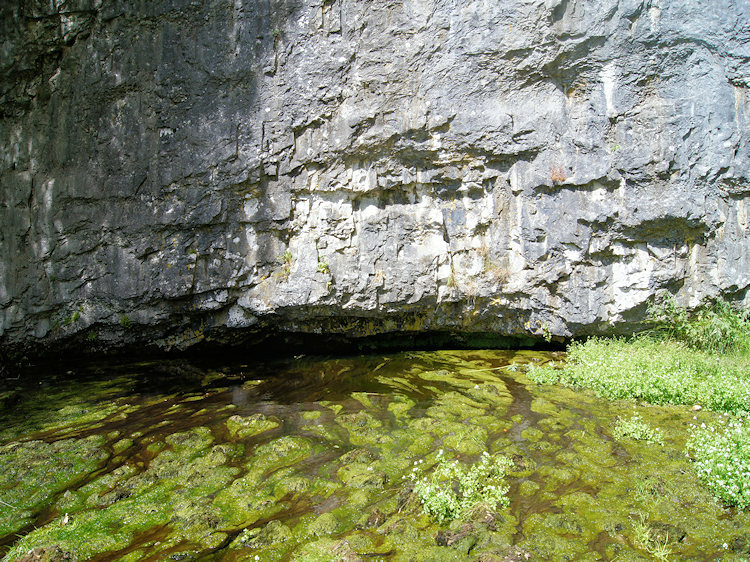 Rather than following the path to the left which ascents to the top of Malham Cove take some time to follow the beck upstream to its source which bubbles out from the bottom of the cove. You can get up close to the base of the cliff and look straight up the impressive white limestone face. Imagine millions of years ago when a waterfall larger than Niagara Falls fell over these cliffs - the height of the cliffs being much greater then. Here you may spot rock climbers testing their skills or even birdwatchers observing the resident Peregrine Falcons which have become a famous attraction. After taking your time below the cliff to enjoy the surroundings make your way back to the path which leads up to the top of the cove by the left hand side. After taking care climbing up the steps there is more care needed while crossing over the limestone pavement at the top of Malham Cove. Don't cross straight over though, take time to stop halfway and look south down the line of Malham Beck and beyond Malham Village towards Airton. In my humble opinion it is the best viewpoint of them all to observe Malhamdale. Eventually there will come a time when you must leave this tremendous viewpoint and say goodbye to Malham Cove. Don't worry, you can look back at it when following the path south east across Sheriff Hill towards Gordale. You will also get more distant views towards the finish of the walk. After Sheriff Hill, which is the highest point on the walk the path leads down to Malham Rakes road which is crossed to follow a path skirting the south side of fairly steep hills. The path leads east for three quarters of a mile on a gradually descent to Gordale Bridge. Here refreshments are usually at hand via mobile providers. 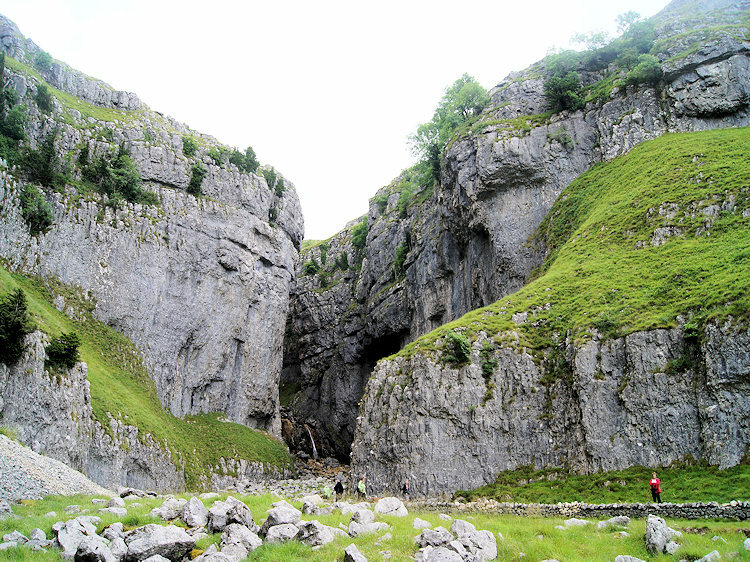 You could avail of the facility if you wish or wait until you return from the cul-de-sac exploration of Gordale Scar. 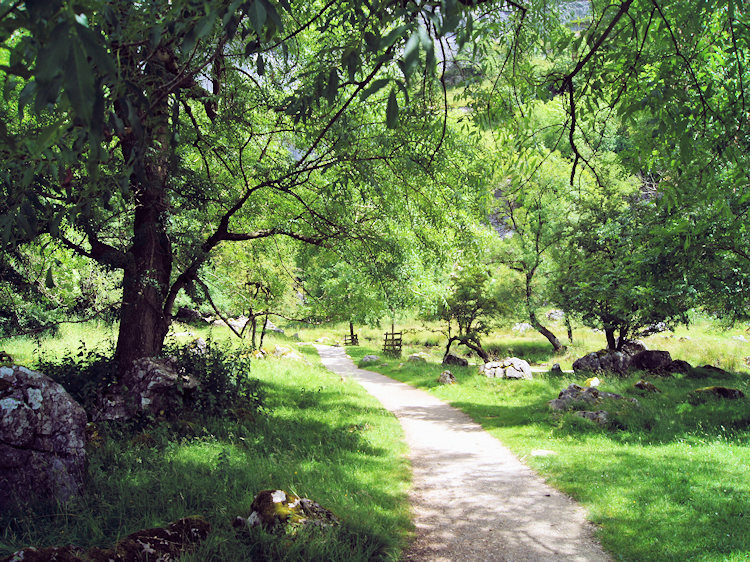 I say cul-de-sac as the way to Gordale Scar is the exact way by which you must return to Gordale Bridge. From the bridge the route to Gordale Scar is obvious, through a gate where the road bends into a wide amphitheater with cliffs either side which narrow as you travel north on a good track towards the famous waterfall at the head of the scar. The ominous feeling of being closed in gets greater the further you go until you round a corner and glimpse the waterfall for the first time. In dry conditions it may look not up to much, perhaps only a trickle, but however much water is flowing over the waterfall the setting remains majestic. so much so that was a favourite setting for Victorian landscape painters and remains so for contemporary painters today. Perhaps the most famous painting of all is by James Ward which has been described as gargantuan, gloomy and ominous. Trust me, its not that bad! When at the waterfall you may see people climbing it. 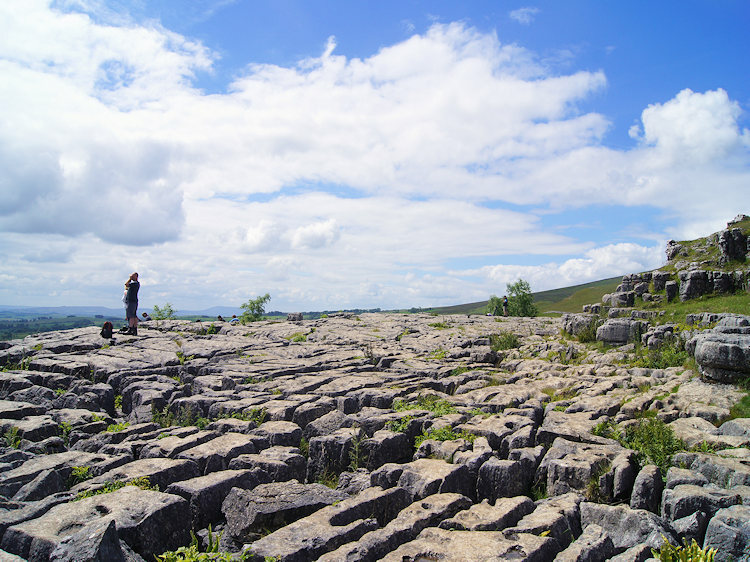 Many do, some just for the fun of it and others climb it on a mission to follow the path which leads up through the scar to Mastiles Lane and Malham Tarn. After enjoying the theatrical setting of Gordale Scar and returning to Gordale Bridge there is a further delight to enjoy. 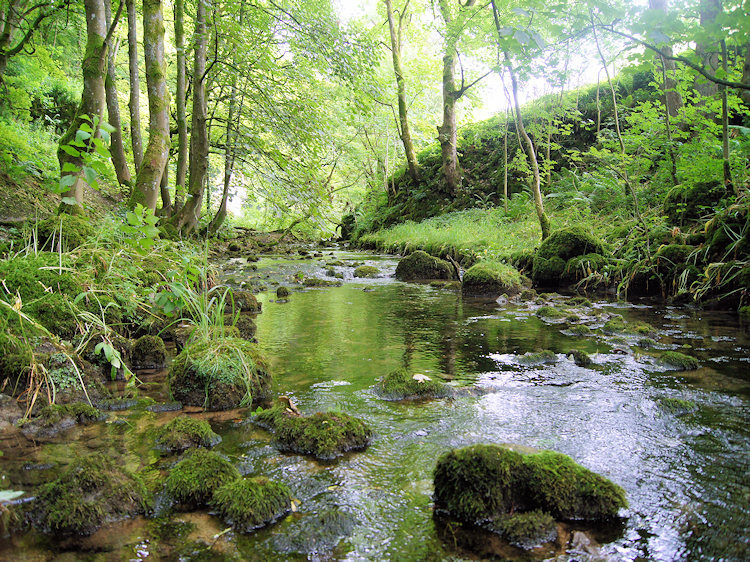 That is found by following the road south for a few yards beyond Gordale Bridge and then leaving the road to follow a path beside Gordale Beck down to Janet's Foss, a small waterfall which carries Gordale Beck over a limestone outcrop into a deep pool below. 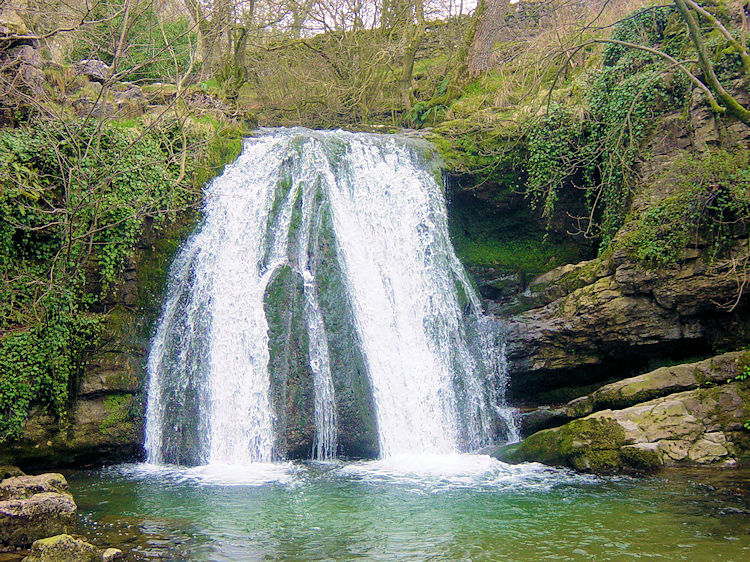 The drop pool of Janet's Foss was traditionally used for sheep dipping, an event which took on a carnival air and drew the village inhabitants for the social occasion. Nowadays sheep dipping has been replaced by families, mainly children dipping their feet into the pool on warm summer days. Janet's Foss is a magnet for people all year round because of its easy accessibility from Malham and especially so in summer. The name Janet or sometimes Jennet is thought to be a folk tale reference to a fairy queen held to inhabit a cave at the rear of the waterfall. I guess with so many people about she keeps a close eye out to make sure everyone is safe without revealing her true self. 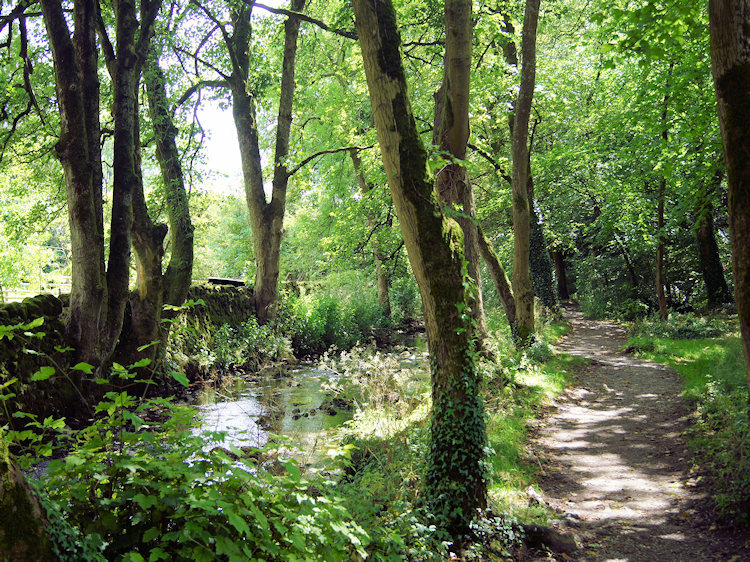 After enjoying the lovely setting of Janet's Foss a nice gentle walk through Wedber Wood leads to New Laithe. 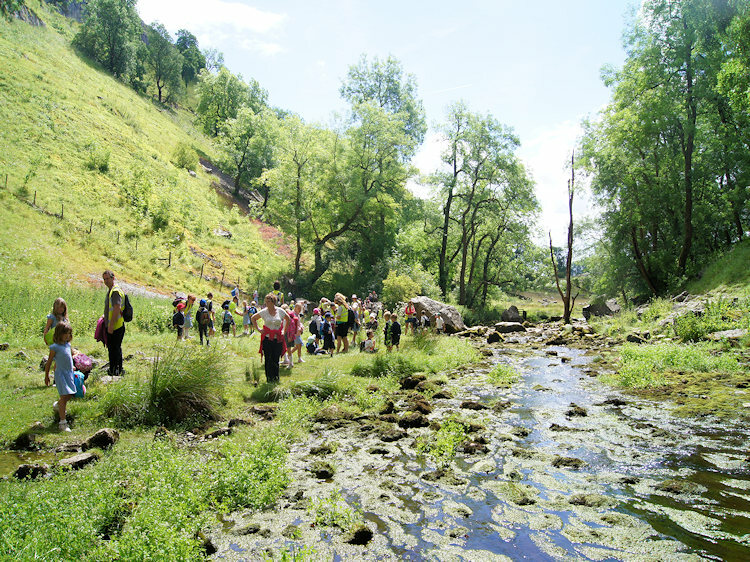 You are now on the final stage of the walk and heading back towards Malham. Close to fields and Gordale Beck as you walk take a moment to look across your right shoulder to Malham Cove where you had been earlier. The path eventually ends near Mires Barn where you join the Pennine Way path to walk north back into Malham. You may want to walk south a few yards south first though. 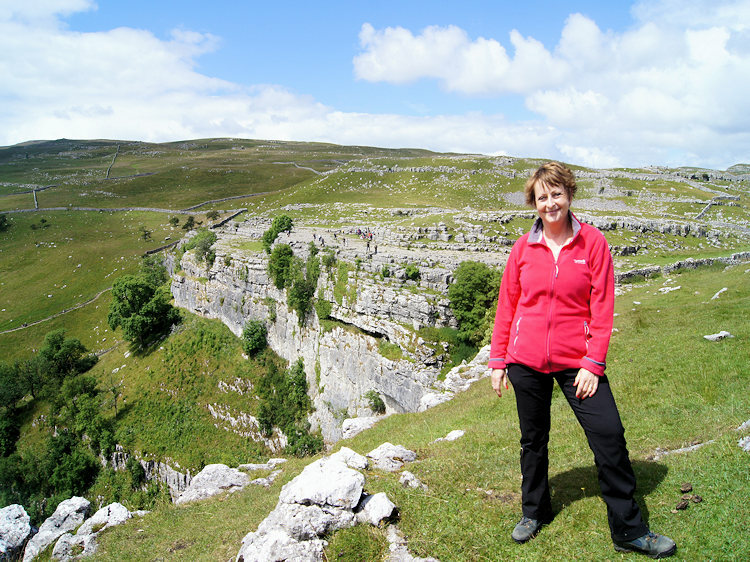 If you do and when you find Gordale Beck meeting Malham Beck you will have reached Aire Head. Here the River Aire starts its journey through Airedale via Skipton and Keighley to Leeds and then through the city to its end after 71 miles of meandering at Airmyn where it flows into the River Ouse. 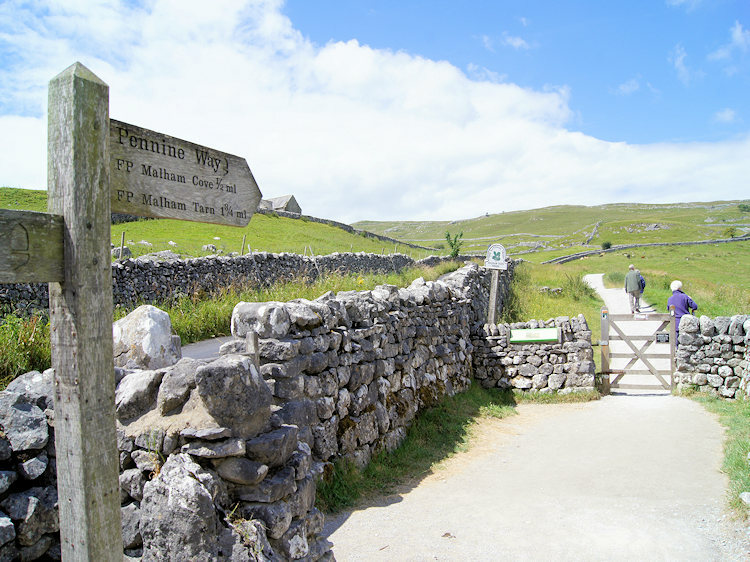 Whether you have taken the extra steps south to Aire Head or walked directly north from Mires Barn the path returns to Malham. Enjoy refreshments in the village if there is space for you can celebrate a job well done. 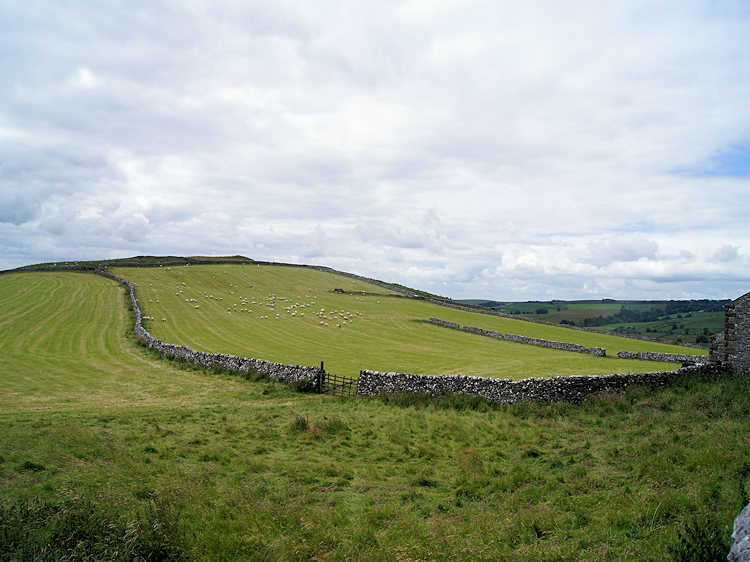 You have completed the most popular walk in the Yorkshire Dales.